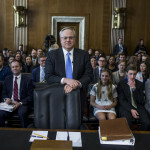 Newly released daily schedules from acting Interior Secretary David Bernhardt show hundreds of differences from schedules his department previously released publicly, and include meetings between Bernhardt and people with ties to his former lobbying clients. 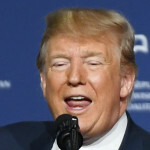 President Donald Trump announced in a tweet Sunday that Nielsen would leave the job, and that she would be replaced on an acting basis by the commissioner of Customs and Border Protection, Kevin McAleenan. 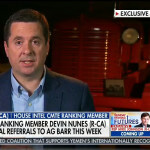 As he awaits a response to his lawsuit against @DevinCow and others, Trump ally and House Intelligence Committee Ranking Member Devin Nunes (R-CA) on Sunday hinted at criminal referrals he said he was prepared to send to Attorney General William Barr. 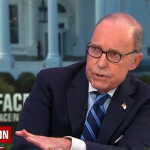 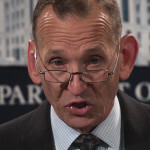 A few days after President Donald Trump punted on his vague threat to “close” the U.S.-Mexico border, the White House’s top economic adviser said Sunday that Mexico should still take the President’s threats seriously. 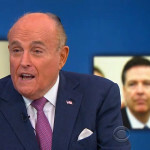 President Donald Trump’s personal attorney Rudy Giuliani said Sunday that he was “confident” there would “be no evidence of anything really bad” in special counsel Robert Mueller’s final report. 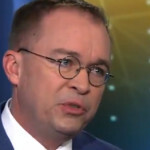 Acting White House chief of staff Mick Mulvaney said Sunday that House Democrats will “never” get access to President Donald Trump’s tax returns.